Over the last 12 months, Twitter has been working hard to explain how brands and individuals can make better use of the platform, working to simplify a network that many find challenging, particularly when starting out. Along this theme, earlier this week, Twitter released an eight step guide on how to compose more effective tweets. And even if you're an experienced Twitter user, the advice is helpful, particularly given it's backed by Twitter's own data and research. Various studies and research reports have noted this before, and Twitter's own data shows the same - shorter tweets generate more engagement. Twitter's data actually suggests that even shorter tweets than this generate the most engagement. "Concise Tweet copy helps the main message cut through. Research shows that Tweet copy with fewer than 50 characters generates 56% more engagement than Tweet copy with 50-100 characters." While Twitter, by nature, necessitates concise messaging, the data shows that punchy, quickly consumed messaging is the most resonant. Worth considering in your tweet process. "Don't be afraid to ask your consumers to do something on Twitter. Whether that's a Retweet, a Like or choosing a team, make it simple, achievable, and fun." This goes back to the same principle as providing a call to action in your content - if you want your audience to take action, you need to tell them what action you want them to take. 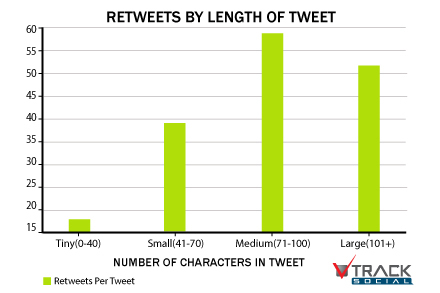 Providing direction can be a powerful device - for example, previous research has shown that simply by including "Please ReTweet" in your tweet copy you can increase re-tweets by 4X. 3. "Tap into key moments"
Newsjacking can go awry, of course, so you need to tread carefully, but done right it can give your brand exposure a big boost. Hashtags are synonymous with Twitter, so it's worth doing your research to understand how they're being used and which are most closely aligned with your products and services. 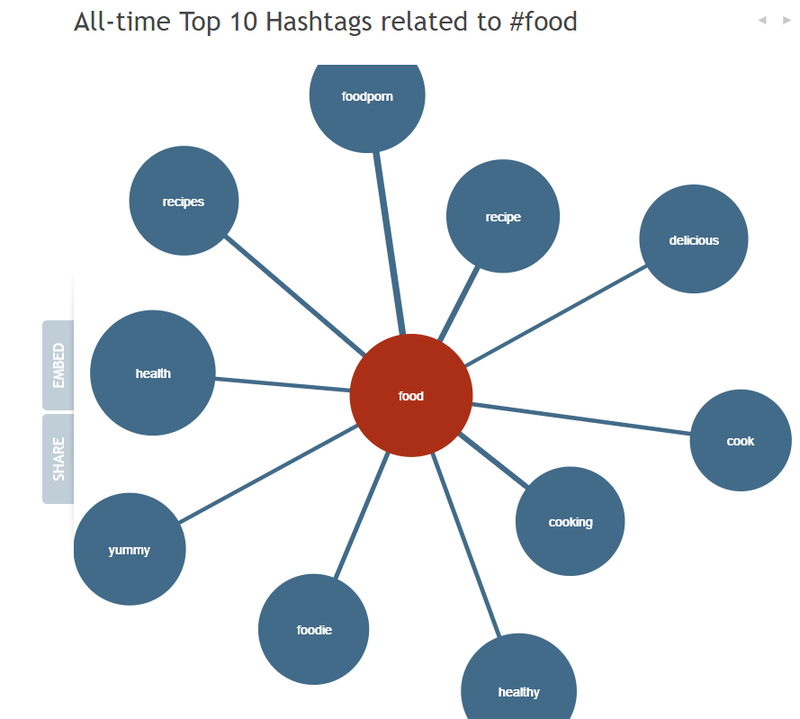 Use a tool like Hashtagify to identify hashtags most closely related to your target keywords and those used in relation to them. 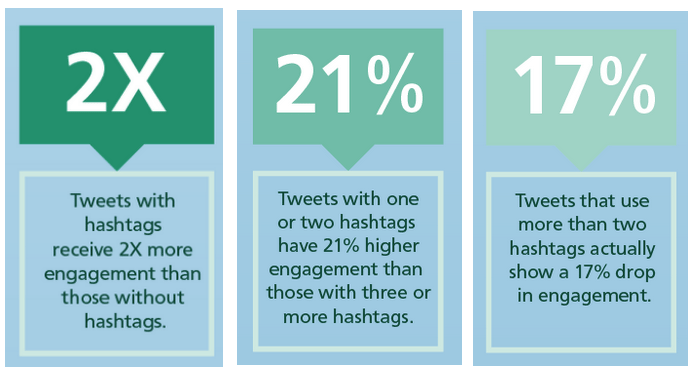 But don't overdo it - research shows that tweets with more than two hashtags actually see a drop in engagement. "Twitter is a conversational platform, so it's important to develop a human tone of voice for your brand. If your brand was a character in a movie or a TV show, who would it be? How would they respond to criticism and praise? These are all very important questions to answer to help you distinguish your brand on Twitter." This goes back to the core of what social media is and what it's about - people want to interact with other people, not be bombarded with marketing messages. And while what you're trying to do when representing a brand is, in fact, marketing content, it's worth considering how you can fit that into the context of what people come to the platforms for and engage on a more human level. Listening is key to any social interaction - you don't just walk up to your friends in a bar and monologue at them for hours at a time, it's all about exchange and discussion. Social media is no different - if you want to maximize your response you need to first listen into the conversations amongst your communities and get an understanding of what they want to know and where you can add value. Similar to trending topics, understanding the context is key to effective communication. This example from Samsung was tweeted at 9:30pm on New Year's Eve, advising people on how to take more effective photos of fireworks. Delivering the right information to the right people, and at the right time, is a great way to maximize the value of your tweets. 7. "Use creative stopping power"
With a whole range of different media options now available via tweet - including 140 second video, Vines, emoji and Periscope live-streams - there's a heap of ways to make your tweets stand out and get people to pay more attention to them. What's more, as part of a recent change, photos, GIFs, videos, polls, and Quote Tweets will soon no longer count as characters within your Tweet. I mean, going on the notes above, that probably shouldn't matter too much, as you want to keep your tweets as concise as possible either way, but still, more characters to play with if you really need. Twitter put forward this example from Cadbury as an example of scroll-stopping movement within a tweet image. 8. "Evoke an emotional response"
And the last key tip from Twitter is to 'evoke an emotional response' with your tweet content. Now that, of course, is more difficult in practice, but the principal remains true across all messaging - if you can get your audience to connect emotionally with your content, you can build more resonant ties with your brand. Emotional response is clearly an effective and powerful tactic - the key element in making it work for your brand is to understand your audience perspective, the real world situations that your followers are facing and the part your product or service plays in their lives. While most of these tips have been around for some time, they remain totally true and are worth keeping in mind as you go about devising your own Twitter strategy. And even if you've read them all before, they're a good reminder of what works on social and how to use Twitter to best effect.